A 16-year-old boy has died after being found stabbed shortly after getting off a bus in Birmingham. 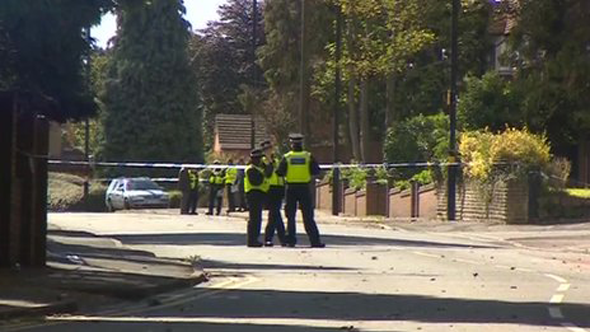 The boy was found collapsed in the street after leaving the number two bus in Moseley at about 08:30 BST. The area around the junction of Hayfield Road and Yardley Wood Road remains cordoned off. Officers said they were treating the death of the boy, who has not yet been identified, as murder and they did not believe it had been a random attack. Police said initial inquiries suggested the stabbing happened in a dispute between two teenagers. The boy was taken to hospital in a critical condition but died from his injuries. The boy's next-of-kin have been informed and post-mortem tests would be carried out, West Midlands Police said. Det Ch Insp Simon Wallis said specially-trained family liaison officers were supporting the boy's family. He added: "We're working hard to understand the precise circumstances surrounding the attack. "At this time it is unclear if the attack happened on the bus or in the street. Because of this I need anyone who was on the number two bus this morning around Yardley Wood Road to contact me immediately." Detectives said they were speaking to witnesses and examining CCTV of the area.